(REUTERS) – Widows of two of the 11 Israelis killed by Palestinian gunmen at the 1972 Munich Olympics got the recognition that they had so long sought with a ceremony and minute’s silence at the Olympic village in Rio de Janeiro on Wednesday. Ankie Spitzer’s fencing coach husband, Andre, was killed along with weightlifter Joseph Romano, whose wife Ilana Romano was also at the ceremony led by International Olympic Committee President Thomas Bach. “This is closure for us. This is incredibly important. We waited 44 years to have this remembrance and recognition for our loved ones who were so brutally killed in Munich,” Spitzer told reporters at the newly established Place of Mourning. 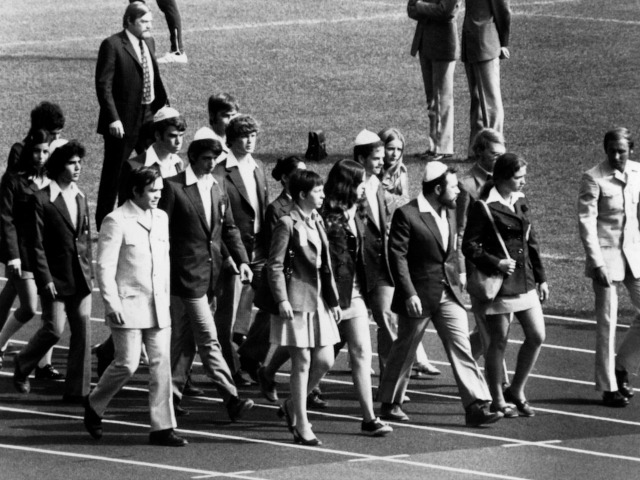 On Sept. 5, 1972, members of the Israeli Olympic team were taken hostage at the poorly secured athletes’ village by Palestinian gunmen from the Black September group. Relatives of those killed have long demanded a minute’s silence at the Opening Ceremonies of Olympics Games, only to be turned down by the IOC. Instead, Bach inaugurated the Place of Mourning, which will now be a feature at every Olympics, with two stones from ancient Olympia encased in glass in a leafy part of the athletes’ village. “Today, the inauguration of the Place of Mourning give us the opportunity to remember those that have passed away at the Olympic Games,” Bach told a small crowd that included IOC officials, Israeli team officials, athletes and Spitzer and Romano. He then read out the 11 names of the Israeli victims, the German policeman as well as the name of Nodar Kumaritashvili, who was killed on the eve of the Vancouver 2010 Olympics in an accident in the sliding center. Bach, in tears, embraced Romano and Spitzer, who praised the IOC’s decision.